Cliff Mass Weather and Climate Blog: Two Snowstorms Down. The Big One Maybe Yet to Come! Two Snowstorms Down. The Big One Maybe Yet to Come! Update Sunday: I will give an updated forecast at 10:30 AM. Waiting for the new model runs. Very difficult forecast. Minor snowstorm later today (definite) but a complicated, major mess tomorrow. The current snow event is nearly over and it appears that the forecast models did an excellent job. Here are some of the latest snow accumulations from the National Weather Service (reported at 4:47 AM), noting that many of the reports were made before the storm was over. My house in NE Seattle had 4 inches. The range of snow was roughly 3 to 8 inches--very consistent with the forecasts. 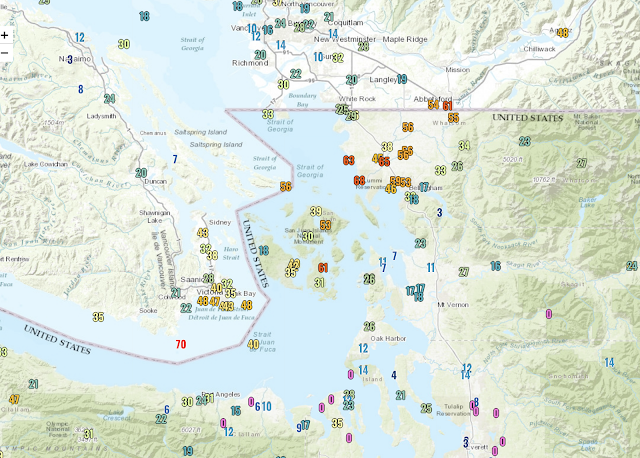 And there have been some extreme snowfalls, including a reported 21 inches near Port Angeles. The snowstorm followed the two steps I described in my previous blog. The snow started just after noon, associated with the upward motion of an approaching upper-level trough. Then there was a pause during the late afternoon. Later during the evening a low center moved south along the WA coast and rotated moisture above a shallow cool, northerly flow, resulting in extended light snow. Temperatures were on the edge, so folks next to the water had a bit less snow. Now we have to look forward, and there is a lot of wind, snow, and cold ahead. First, wind and cold. Extremely strong northeasterly winds are pouring through the Fraser River gap northeast of Bellingham, with wind of 60-70 mph in places. The San Juans are being hit very hard. Wind chills are now below zero F in some locations and will decline further. This is dangerous stuff. And the cold air will flood western WA today, resulting in the low temperatures tonight, plummeting to the teens in many locations of western WA. Protect your plants, pets, and home. Oh yes, there is the issue of more snowstorms. The cold air will remain in placs and a series of disturbances will approach, providing the moisture. The snow 24-h snow forecast ending 4 AM Sunday, show little over Puget Sound, but continued snow over the northern side of the Olympics. There is LOTS of snow over southern Oregon and northern CA as the low moves southward. During he next 24 h, a weak system will move down the coast, bringing another pulse of snow, mainly from Seattle down into southwest WA. Lots in the Oregon Cascades (where it is really needed). Maybe an inch or two more in Seattle. But then we must talk about the Big Kahuna of snow, comeing in early Tuesday, with a deep low center EXACTLY where it needs to be to give us snow (see sea level pressure forecast for 4 AM Tuesday). Any Northwest meteorologists knows what this means. The snow total forecast for the 24hr ending 4 PM Tuesday is scary, with 8-12 inches of new snow coming into Puget Sound. HUGE amounts on the Oregon Cascades...we are talking FEET of snow. Should we worry about this? Yes. Let's check another modeling system: the ensembles of the vaunted European Center model. Below are the forecasts of all 51 members for the accumulated precipitation at Sea-Tac Airport starting 4 PM Friday. You see our current snowstorm (light blue colors, 3-5 inches), the Sunday event, darkening to around 5-7 inches, and then the Tuesday event, moving to the reds ( 10-16 inches). MOST of the ensemble members are going for this...suggesting a lot of confidence in the forecast. The average of the ensembles indicates an increase from about 4 inches from the present storm (very reasonable) to about 11 inches on Tuesday. Keep in mind this is accumulated SNOWFALL. Accumulation is different and usually less than total snowfall (snow can melt, be compressed, or the snow can be more dense if wet). It's been extremely windy since about 10pm last night here in Victoria. Really impressed with how long these high winds have lasted. Only about an inch of snow though that fell around noon yesterday. Not a flake since, and it looks like we miss out again next week. I'm not a snow lover, but if it's going to be this cold, might as well have some snow! 10" snow yesterday at 375 feet elevation above Sequim. Another 20" last night. I was a little skeptical last night when Metro announced it would activate its Emergency Snow Network (first time ever! ), but waking up Saturday morning it's clear they made the right choice. At this point, with more snow (and more and more! ), I wonder how many days it will be until Metro and SDOT can return to "normal". Thanks for the update! Definitely saving our firewood in case Tuesday's storm puts us over the edge and takes out power. Just a few flakes here at Crater Lake, Oregon...(KIDDING!!!). Crater Lake will get buried with these storms. Wizard Island will do a disappearing act. Ashland, Or., home of America's largest regional theatre, the Oregon Shakespeare Festival, is getting an unusual amount of snow. That's to counterbalance the horrible summer smoke of the last two years and the massive losses at the box office that the smoke engendered. This is incredible and terrifying at the same time! Tuesday storm looks to be worse! Thank you! Keep the updates coming! Thanks for all your hard work, Dr. Mass. It has been an epic few days and it sounds like we've got more in store! My wife and I were talking this morning and were wondering, has there ever been a stretch of back to back to back snow storms like this in Seattle or is this pretty unprecedented? We don't recall anything quite like this happening any time in the past 30-40 years. I don't know where this measurement for five inches in Tacoma is taking place but I legit have 8.5 at my house right now. I'm up the hill away from the water. Just shows how much variability there is in accumulation even locally. Thank you so much for all of your hard work and excellent forecasts! Thank you for keeping us informed, Cliff, even when we’re short-sighted and ungrateful. 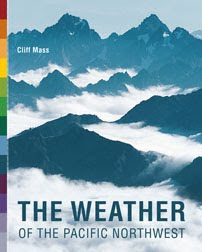 People who felt misled yesterday have hopefully been reminded of the following: weather forecasting is very difficult (for anyone) and the exact timing of things can always change. But when cold air and abundant moisture are present, be prepared. Simple as that...doesn’t mean it’s all going to happen exactly as predicted...but be ready for whatever and watch what happens. From what you’ve pulled together in this latest post, it looks like we could be in for a wild ride the next few days. Stay safe everybody, and embrace the uncertainty as best you can. Eastern Washington is under a blizzard warning. Is this due to the winds coming out of the Fraser River Valley as well? Thank you Cliff, you are a valued voice in the PNW. Port Townsend Cape George on the Discovery bay side has about 10 inches. Trees are heavy leaden with snow and the hummingbirds are thankful for food. Keep updating. We look forward to every post. In upper Queen Anne, we had about 4" during the day yesterday. After shoveling the stairs at 5pm, and some people were complaining on social media that this snow storm was another false alarm, we got 5 more inches. Any input on Whatcom County? We’re so bummed we missed all this snow. 3.9 inches for North Seattle is definitely not right for the Haller lake neighborhood. I just measured 17 cm of fresh snow. There are many people who look at the forecast for Tuesday and say "I'll believe it when I see it." I say better to be prepared than not prepared. Luck favors the prepared person. I would rather be prepared for a big snowstorm and be wrong than the other way around. Woke up to 7 1/2 inches of NEW snow here on Lea Hill. We've got a lot more in total though thanks to last monday's storm. City is doing a good job of clearing major roads though, but our neighborhood is buried! And the wind...it REALLY picked up this morning roughly 8am. We have blowing snow and occasional white-out conditions here. Very pretty, but very out of character for here. Same story as monday, blowing snow. There's an excellent chance that this February will be the snowiest on record at Sea-Tac,topping the 13.1" that fell in 1949.By month's end, the total may only be surpassed by the 35.4" in 1916,and 30.5" in 1893. I beg to differ with the Olympia reading. I have a cold frame in my backyard and I measured 10 inches this morning on top of it. 12-14 inches at 1100' in Preston (as reported by my renters). It finally hit down here in central Oregon approx 7am. 3-4" in a couple hours, and temp is dropping rapidly (~7F in 3 hours) as cold air moves in. Our (current) NWS forecast for all of Saturday was ~1" today. We're clearly blowing through that with impunity. We really need a weather expert like Cliff down here. I recall something similar in about 2007, during which we had nearly a week of alternating snow and freezing days. As I recall, the first snow was forecast well in advance, but the subsequent snowfall was not. The City of Seattle chose to deal w/ the first snow by ignoring it, a big mistake that Seattle never recovered from until nature fixed the problem. Mayor Greg Nickles never recovered, especially when it was learned that what snowplows were in service were in service in Hizzoner's neighborhood. The warm up and return to rain is always faster than forecast. The ECMWF I'm looking at shows rain for Puget Sound all Tuesday afternoon and fairly modest 1" to 4" 24-hour snowfall totals through most of the week. Accumulations will be less. Tuesday: 1 to 2" before turning to rain mid-day and clearing the roads. Friday through next weekend: Rain at sea level, occasional heavy wet flakes, grassy accumulations in spots, temps around 40. It gets very typical Seattle after Monday. Fear is never a way to go about your life. Prior Proper Preparation Prevents Piss Poor Performance. Remember the 7 P's. Next year expect more of the same folks, as we descend into Sun dormancy. I'm sure the MSM will say this will be again the hottest year on record though! Just measured the snow on our deck on Squak Mountain in Issaquah. As of Saturday at 11 am, we have 11" accumulated snow. So far, in the lowlands of Whatcom County the only thing that's come down from above has been tree branches. And zero degree wind chills. Cliff, what are the chances of any of the storms trending a bit northward and Bellingham getting in on any snow before the pattern returns to normal? Seven inches in Rochester, south of Olympia. In the Sisco Heights area of Arlington (5 miles SE of downtown Arlington) at 535 feet of elevation, we received 11 inches total by Monday, and another five inches on Friday. So far it has not snowed on Saturday, as of 1150 hours. The Coho ferry to Port Angeles is running again, come on over! Homerun on the last stisto, thanks for keeping us in the know! Your the man CM! Percent chance we get slammed Tuesday in Seattle? Wow, do you live up at Crater Lake? Only been up there twice, both times there were loads of snow in the early summer.It's so pretty up there. Interesting comments. Amazing how the brain is set up to have no real memory of pain. We have lived northeast of Everett in the foothills between Arlington and Darrington for over 30 years. I can remember bracing the ceiling/roof beams of an older mobile home when we got thigh-deep snow, shoveling snow off the roof while it was doing its best to accumulate, clearing critical access paths outside etc. until we were too exhausted to continue, only to start up again the next day. Younger and healthier then. We lived in an area that used to regularly get over 100" annually. We moved 6 miles west about 25 years ago. New location was significantly warmer with only 60" - 80" of precipitation. It is all local. If we want even more warmth and sunshine, we can drive 5 miles west (out of the foothills and dropping several 100 ft in elevation). More snow? Yee-Haw! We'll hunker down. We should have everything set for the coming storms, and enjoying the pristine white views outside our windows, only emerging as needed to feed our small band of cows, visit neighbors, clean up wind-thrown branches, . . . I'm sure have plenty of food for us and our critters in storage. We're suffering relentless & highly dangerous winds in north Whatcom County. In nearly 24 years here, I can't recall winds this fierce and steady. It's interesting to here reports from elsewhere, because it sounds entirely different from our reality. My sister in Enumclaw has 18 inches of snow (some from last weekend), for example. We have no snow, extremely low humidity, and the air is a hazy yellow-brown as top soil is blown off surrounding farmland. Current midday real feel of 9 degrees, and the wind just keeps coming. Bellingham missed out on all of the snow fun. I just keep reading your blog, and watch to see how long it takes NOAA forecasters to catch up. Our Bainbridge house (mid-island, east side of highway) got 7" in the last 24 hours, 10" total for the week. Hoping we keep power despite the winds and snow-laden trees! As predicted, there was very little snow here in Bellingham near the airport. But also as predicted, the winds have been very intense. Ferndale CW3375, which is a few miles north of the airport, seems to get it the worst with a couple of peak gusts at 71 mph at 9 am. I cannot quite tell if the winds are easing slightly. Barometer has been rising since about 6 am. These are the most intense winds this season for my immediate locality near the airport, which seems to be the most concentrated funnel point for northeast outflows. We have not lost power, but there was a 1 second flicker around 9 am that caused clocks to reset. I am also wondering how intense the cold will be with the latest Fraser River outflow. Temperatures to the north which is the source of the cold air do not appear as low as previously. I am always surprised to see so many expressions of hopes, wishes, and desires for snow (the TV newscaster "White Christmas Syndrome"). I, for one, am not eager to see a bunch of lowland snow, but whatever it is that I or anyone else wants, makes little difference. 12-14" in the street in Port Ludlow (my elevation is 190'). About 10" on driveway after clearing it at 3pm Friday. These measurements at 10am this morning (Sat). Light snow at the moment. Dr. Mass, thank you for your excellent weather reporting! I live on the Cedar River, and this is starting to shape up a bit like 2009, when there was a foot or so of snow in the lowlands and we were hit by a "pineapple express" atmospheric river from Hawaii. River managers did not see this coming and failed to run the Masonry Dam outlet harder in order to mitigate the spillway event that exacerbated flooding along the Cedar. What are your thoughts on the likelihood of a 1-2 cold/warm punch, and is it time to alert river managers to increase flows? Thank you again for all you do! We have about a foot on the ground here on the west side of Vashon Island. No power since 11 last night. Frightening forecast. At least 7.5 inches here in Kitsap (near Indianola) since noon yesterday and still falling at 12:30 PM. 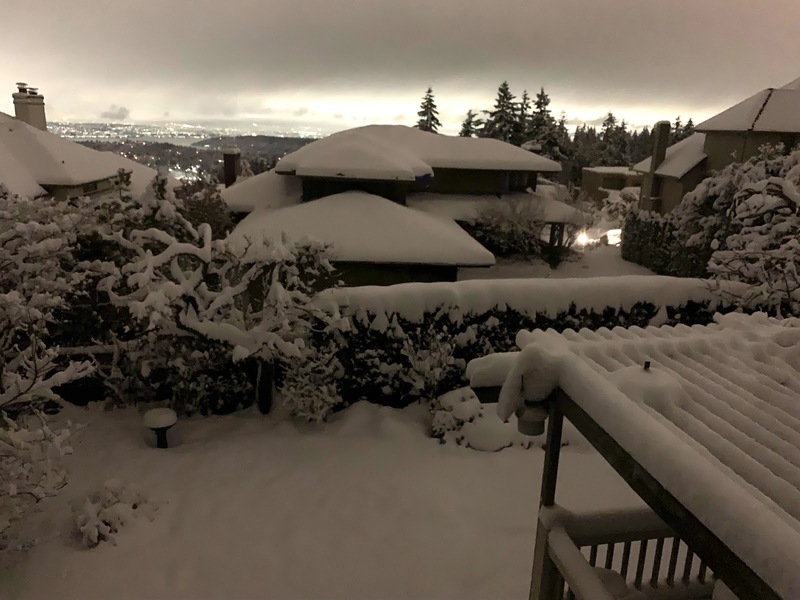 "My wife and I were talking this morning and were wondering, has there ever been a stretch of back to back to back snow storms like this in Seattle or is this pretty unprecedented?" I remember December 2008 having a very similar pattern, with a string of back-to-back storms dumping sometimes significant amounts. Looking back at my posts from that time, we had snow on the 14th, 17th-18th, 20th-21st (which included some freezing rain), and 24th. At our place in Tumwater, we got over 18 inches total that month. We got about 3 inches ~7 miles north of Hoquiam. Snow report on for my location on the Quimper peninsula, as of Saturday 1PM. 8 inches total, virtually not even a breeze of any sort. Temps hovering just above and below freezing. An accurate forcasts with accurate timing for the location. Unknown - Yes, December 2008 had multiple snowstorms over a few weeks and REALLY cold temperatures. January 2012 had a couple of snowstorms and an ice storm mixed in. I'm in south Snohomish County and I'd rank both of those past events as much worse than the current one, at least so far. I sure hope so. I am in the San Juan’s, down a very steep driveway. I wonder what this means for Everett. I hope it means 10 inches of snow! West Seattle seemed to be hit particularly hard. We got at least 8 inches on High Point! [Monroe/Woods Creek] My concern now is the freeze predicted for tonight. It's been around 36-37 degrees all morning and into this afternoon, just now starting to cool down to 33-34. We're having a little bit of melt on the relatively low accumulation here. I saw KOMO's website predicting a low of 15 degrees IN SEATTLE tonight. Given that we're almost always colder than their forecasts out here, it makes me wonder if we might see single digits tonight. For us, that means several potential disasters: First, what's melting now will definitely freeze again, which means virtually everything is going to be a sheet of ice tomorrow morning. Second, while our ducks are good in sub-freezing temperatures, I don't know how they'll do in single-digits. They have a good enclosed shelter, but even that can get too cold. And third, our plants, even covered in plastic and burlap, might not survive. We have sapling apple trees that we're worried might be killed off by this cold. Not much we can do about it at this point. I'm just hoping things don't get too much worse. I'll take the snow no problem, but the extreme cold is likely to be the bigger problem here. Thanks for all the forecast illumination, Cliff. I would not have been prepared as well as I am without it. It continues to snow here on Bell Hill near Sequim (1000' elevation) and the new snow is over 22" now on my formally bare deck, with measurements on ground (that wasn't cleared from the last storm) hitting 27-28". It's too deep for my Labs to break through. Only way to get around is snowshoes -- breaking a trail for the dogs. And now we have Sunday and then a huge Tuesday storm to look forward to. We've had enough already. This period might go down in the Sequim record books. Overall, at the south end of Lopez Island, we have gotten an inch or so. But the winds since last night have been almost as bad as they were Sunday/Monday. Our wind chill temperatures are a little warmer than they were....so 16 instead of 6. I think professor Mass would know a bit more than you. We got 5-6 inches in the Mount Baker neighborhood of Seattle and we are very close to lake level. Don't put off clearing a path from your front door. We're used to snow melting the next day, but this will be dangerous! Help your neighbors out too! 7" in West Seattle. Just starting flurries again. Thank you once again, Cliff. I think I speak for a lot of people when I say I appreciate how much time you spend breaking down the science and data for us. I always learn a lot. And I believe we make better decisions based on your insights. You can add 10" in the Lake Tahuya (@600' elevation) area of Bremerton (Gold Mountain) by this morning. Half of the lake is frozen over. I am recalling the awful (for us - due to gutter malfunction) December 1996- January97 stretch of heavy snow, collapsing roofs - especially at marinas, and the eventual sliding bluffs that were laden with snow and then rain into February. That is the one snow season I would hate to repeat. But otherwise, bring it on! The Bow weather-reporting rock-on-a-string hangs limp and frosty with a 2 inches of snow on it. The forecasts suggest we will not see quite so much snow and action as further south does - during this next go around. Probably a good thing because this flimsy snow shovel only has about one more shot at it and I doubt there are any left for sale anywhere near! Relatives report very poor driving on the Pine Lake Plateau. We have at least 8" out by south bay in Olympia! 13 inches south of Tumwater in Thurston County. 12" in West Oly with a strong N wind blowing...thank God we bought a whole house generator last year..power has been out for hours..
Look up the snow storm/blizzard of 1996 in Clallam County. We had about 2 inches here in the "highlands" of Jacksonville OR (elev 1820), and just above us the snow depth increases markedly. In Medford there has been just about zero - barely a trace. The hills around the Rogue Valley are blanketed in white and it is a beautiful sight. 1.5 miles up Monroe Rd. in Port Angeles...24 inches and still snowing, although not heavily. Wasn't the Olympic Peninsula similarly affected in 1984 or 1985 ? Thanks Cliff for your enthusiasm and hard work with all these meteorological curve balls being thrown! Heck of an El Nino! About 8.0 - 8.5 inches total in my front yard near the top of the Maple Leaf hill in NE Seattle. A little sun right now, nice! Looked like about 6.0 from yesterday. What comes after that big Tuesday LOW ! Will it scour out the cold or sit and churn off coast for awhile? It looks like a wet one. Looking forward to water vapor satellite images. One things for sure. Everyone gets some snow this year. Yep if you like weather and guaranteed snow live up above 900’ in the ‘foothills”. It is fun when you're young. Yes. 1996! Not sure of the totals but I'd like to hear them! Dr. Mass? So looking at the Weather Underground App on my phone just now I see snow icons on the majority of days for the next 10 days. As pointed out other. Each one an opportunity for a really nice dump even if the currently forecasted amounts change. This pattern is potentially very annoying. As a person who grew up in a cold climate I would suggest folks be diligent about clearing their driveways and walks. Here we can usually get away with waiting for the rain to wash it all way. However with a pattern of cold nights and above freezing days sets us up for freezing the ruts in our driveway into ice chutes that take major effort to break up and will persist for a long time after the roads are passable. Another thing that comes to mind is that all the talk of humanity killing Boreas has irritated him. He seems to want to show us that he has teeth still. We might start thinking about what offerings will appease his wrath. It may be wise to cover all our bases!! I have some left over carrots in the ground! We've got a good foot in our yard in Puyallup! Incredible amount of snow in P.A. Interesting...top layer of snow today had brownish tint... Colleen's mention of high winds blowing across barren farmlands in Whatcom/Skagit might be the reason! 600 foot elevation just west of Sequim Wa. Measuring 23 inches in the middle of the yard. No wind and snow was light the last 4 or 5 hours and has now stopped and skies have lightened, sun peaking through the trees. Now comes the cold. I was here. Lived in Shoreline. I was 13. It was awesome. Dry blowing snow with lots of wind and drifts. We had some 3 feet or more around our house. Good times! Definitely 10+ in West Oly...family near SPSCC in Tumwater had over 12". We had 3" Monday, and the forecast from Cliff says maybe another 4" Sunday pm and ANOTHER 10+" by Tues PM. Pretty gnarly situation down here. At least power was restored quickly for most this afternoon. I may be wrong but in 2008 we had a huge snowstorm that brought 12 inches or so and in 2001 we had like a foot in April the temperatures were not this low though and I dont believe it lasted this long about 3 years ago we had some snow with pretty cold temperatures as well I think this is a 10 year thing. The post office is struggling to run the mail at all. At the P&DC, some mail for some areas was not run at all. There were a lot of call-ins. This is on top of there already being a shortage of workers. Another big snow event would be devestating. It's going to be a rough week and it will be a struggle to process all the mail. Lol. As soon as I finished reading just now I got an alert for a winter storm from Sunday to Tuesday with 6-8 more inches possible. Okay sometimes I'm easily distracted...the produce trays need cleaning! Secondarily, I have about 8" on the ground SSW of Chehalis ~1200. If this pans out I should have 2' on the ground by next weekend. The closest recently was the ice storm of 2009. I had about 18" of snow then the ice storm hit. 30F and hours and hours of freezing drizzle. I went outside that evening and the branches falling from the 100' + trees sounded like gun shots then the thud as hundreds if no over a thousand pounds of tree branches laden with snow capped by a 1/2 or better layer of ice. It was unbelievably loud. I lost over a dozen apple and cherry trees that had been grown in the same orchards for over a century. We are in pasco right now ( sat at(3:47) it's like a blizzard that won't stop I've never seen anything like it 4 to 5 ft drifts in our yard. Blowing snow with white out conditions started around 7 this morning and at that time we already had 6-8 " no telling how much we have now. We work and live on the west side during the week, not sure if we will be able to travel back home to arlington tomorrow. I've never seen such a crazy storm. Very high winds here! I checked the Ensemble forecast on Weather.us and it doesn't look like that at all. All the models are showing snow. Nice job on the call of #2. A tip of the hat. Had 10 of new snow from 12pm Friday to 8am Saturday. Cleared my yard table when the first flakes started yesterday! Y x 2.3 +1 = X where Y = actual measured and X = reported total and came up with a total for Snoqualmie Valley for the last two snowstorms accumulation. Total accumulation so far at my house is 33”. Still no power on the south end of Vashon and over 9” of snow on the ground! Sadly, this shows a complete misunderstanding of energy budget. This is not a cooling of the air in place over Washington and Oregon. This is the forceful expulsion of heavy (cold) airmass from arctic regions southward. That takes significant energy. The moisture in the warmer airmass it is hitting cane from solar energy, and moving that took even more. If the sun were becoming more dormant, we would see a gradual cooling worldwide and a decrease in precipitation events. Instead, these energetic effects are completely different. Yes - this is an indication of increasing energy budget, as media and science have all reported. We've had a (2) day TOTAL of 7" here in Downtown Greenbank ( Central Whidbey Island ). WA-DOT is doing a GR8 job of plowing & sanding SR 525 / SR 20. And... Island County is doing the same for the MAIN side roads. Our USPO has ground to a halt tho' = vis-a-vis deliveries. This BIG KAHUNA Cliff sez is headin' our way next week should prove to be more than "interesting" for us on our isle - and the region ! KUDOS to U Cliff for ALL of your stalwart efforts on "OUR" behalf - as well as your rational take on weather forecasts - & - "global warming". Even when you have been "at odds" with the Seattle Times - & - others in the scientific community ! f.y.i. - I share your forecasts & blog comments with friends / relatives across the USA ... they ALL REALLY value your "take" on things !!! So...All the forcasts for here (Tacoma) show a few inches Sunday night, but no accumulation for Tuesday, yet that radar you have clearly shows 8 to 12 inches in this area. Why are all the other weather reporting outlets not seeing this? Thoughts? I hope you are right over them, I love snow events. Runs on groceries ... thanks to media hype! I realize the municipalities lack adequate snow equipment, and we have "hills", but I do a face-palm during these "big" events. But I grew up in Buffalo NY, and lived in the BC/Alberta interior for a time where we could regularly expect at least a week of -30F. Anyone here who's lived in Minnesota, et al is just ROFL. Some of the old timers from here tell me Green Lake used to freeze over on a regular basis in the winter - and that would take quite a cold spell! Buck up, people! Yep. 10" here in West Olympia. Issaquah, in the valley between Tiger & Squak Mtns, we got 8” a few days ago and 6” last night for 14” so far. I appreciate Cliff’s forecast so we are as ready as we could be here. The Skykomish River Valley around Sultan/Startup received approximately 3-5 inches of fresh snow last night. However, windy conditions blew a lot of the powder away, leaving trace amounts up to 1 inch by mid-morning. Temps rose above freezing by 1pm, allowing some melt-off to occur. The coming week will be interesting. FORECA is predicting high probabilities of snow (appears to be another 1-3 inches) from 5pm Sunday thru 4am Monday, followed by a lull until noonish. 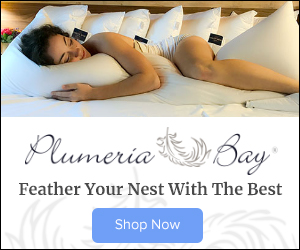 Curious if you are familiar with FORECA.com and have any opinions on its 72-hour accuracy. I thought 3.9 seemed low, too. We’re in Lake City and we got exactly 7 inches! Silly question: how can I measure snow depth when it's blowing 45 mph. 36 hrs of consecutive snow! Moses lake. MaryannK. My family is from Minnesota. My grandparents moved here along with their 4 adult kids. They moved bit by bit till they were all here. Once, grandpa decided to show us kids how to drive in the snow here in the great pacific northwest. After all, he was a pro! We watched him march off, keys in hand. He made the first, flat, block. Then he hit a hill. He slid down, crashing into parked cars all the way. So no, I'm not ROFL. It's different here. People need to learn that you must shovel as soon as the snow stops and salt the sidewalk/pavement. It's not hard to do and 8 inches is nor a major deal. Cliff: Why has the western half of Whatcom County been excluded from and will continue to see (as projected) little or no snowfall from these otherwise massive areas of significant snowfall. Is it because we are simply outside the northern margin of moist air? And/or, is it because the Frasier Valley outflow is so strong it deters and or evaporates the moisture over this relatively small area of terrain? It is weird because the weather.com app has a winter storm watch from Sunday after6 through Wednesday 4am. But there daily forecast does not suggest that at all. . .
No disrespect intended, folks, but if you want to see serious snow, type in to your phone or computer, The blizzard of 78 in the northeast. Now thats a blizzard. It brought the northeast to a halt for 2 weeks, go ahead, check it out. I was in Lacey then. I can confirm this with my own weather journal. I recorded a total of 19.4" in Dec 08, with peak accumulation depth of 16". That month was very snowy and very, very cold. It's just a little snow. Please stop freaking out. Actual storm track (satellite) and run to run consistency are still issues that can put a damper on things. 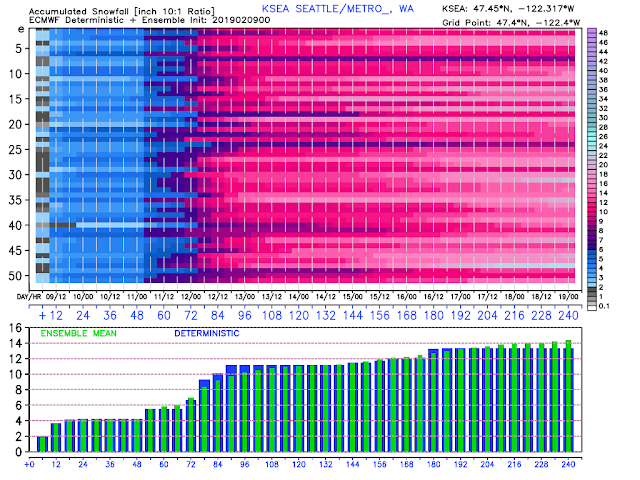 In Olympia 98513, the previous runs were hinting at "big" snow for Sun-Tuesday night. ... Says at most 8" accumulation for Sunday - Tuesday night. That's IF all accumulations are maxed out. The GFS now keeps bringing the "green" (warm, SW flow) air. So rain / snow mix, which doesn't accumulate well. But ice ... and "Cascade Concrete" are both BIG possibilities. I was in Lewiston, Maine during the snow event of 1978. We got a minimum of 2 feet. Schools were closed for 1 1/2 days. Closed at noon on day 1 and closed all day for day 2 and then open all day starting at day 3. Massachusetts was shut down for 2 weeks. Maine does thing right. Parking is banned on the streets all winter (plow route). Plows/salting/sanding comes out a just about the first flake and continues. No one does scrape runs on the grocery stores. South BI here. Having no power most of the day Sat pretty much sucked. I’m hoping that we have power still Mon-Tues, and so on. We seem to be 20x more susceptible to power outages due to vegetation and trees even with the slightest bit of snow, wind, or massive rainfall. Yep I know someone who was a teenager at that time and she remembers the snow blocking them in their house. They had to go out the second story window to get out and start digging their way out. Is there a sense of how the rest of winter will go for the Seattle metro area? The cold and snow just keep coming. It's almost unbelievable. Looking forward to your next post. We have 14 inches in tumwater. due to the changing climate? I remember 08, I was on Mercer Island, one of those short steep roads. Couldnt get a car out for 12 days! We hitchhiked for groceries. Quite a Christmas. I'm in PT, getting dark and windy now.